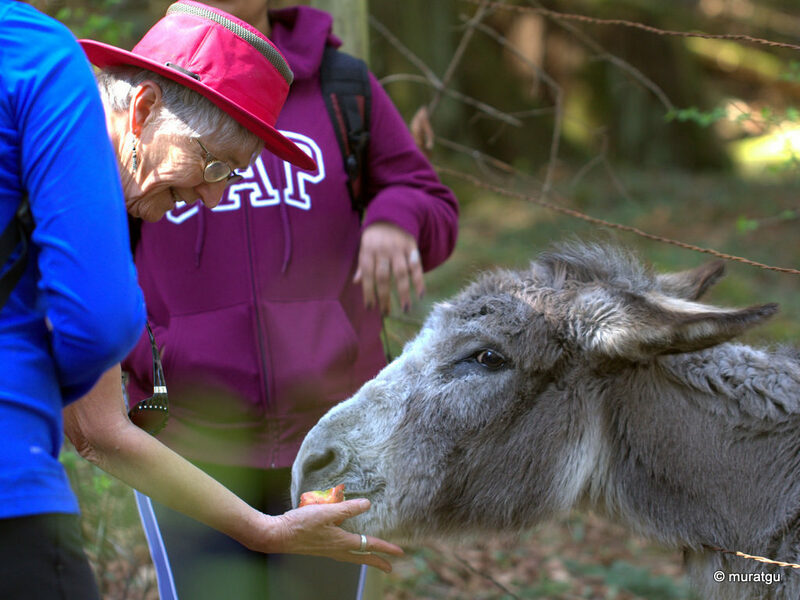 On 31 March 2019, seventeen members and four guests participated in the annual trip to Horth Hill Park, an easy walk from Swartz Bay Ferry Terminal. It was a clear and warm spring day. It was a beautiful ferry ride. In Active Pass, we saw about two hundred Bonaparte’s Gulls, no way near the numbers reported only a few days ago. 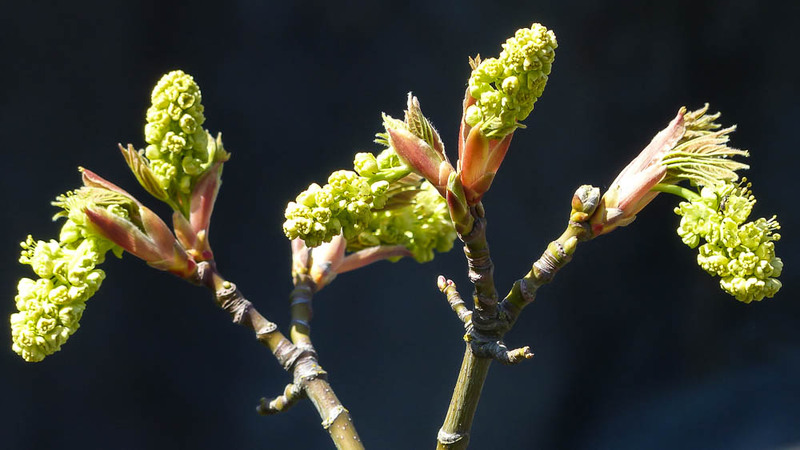 Just outside the Ferry Terminal Parking area we were greeted by a very robust Red-flowering Currant in full bloom, and Broad-leaf Maple just coming into bloom. We walked on the bike path along Pat Bay Hwy, with good views of Tsehum Harbour. There were not too many birds in the harbour. We had a Turkey Vulture soaring above us. Chestnut-backed Chickadees and couple of Anna’s Hummingbirds were in the trees and shrubs along the path. 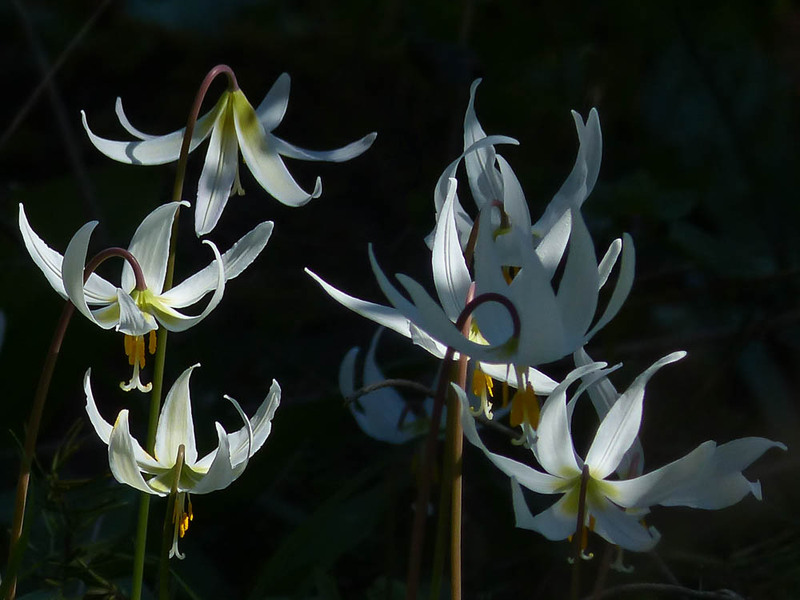 In the park there was a good display of White Fawn Lilies, Shooting Stars and a few Trilliums, and other early flowers. Birds seen included a Brown Creeper and several Orange-crowned Warblers. 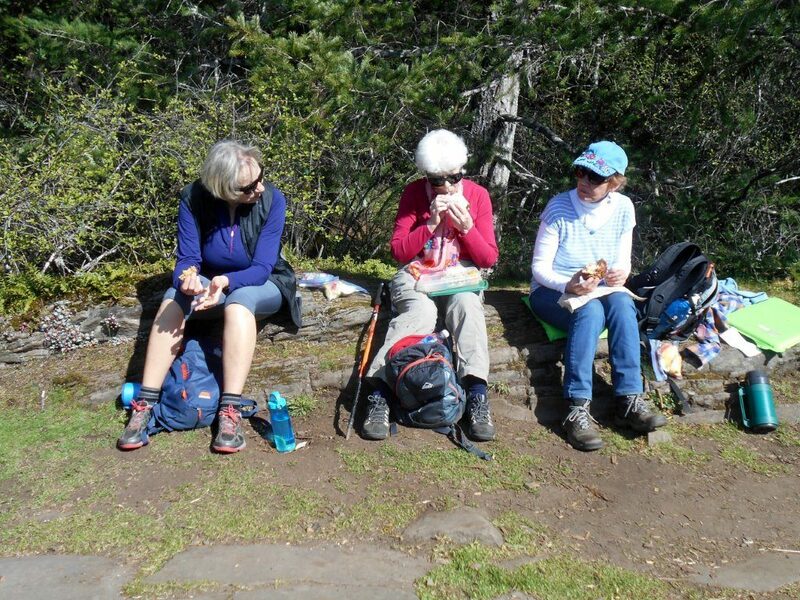 After a brief stop for lunch at the view point we continued along our circular route via Green Park Trail where we were greeted by our long time friend – now a little older and a little slower. He was treated to left over carrots and apples. 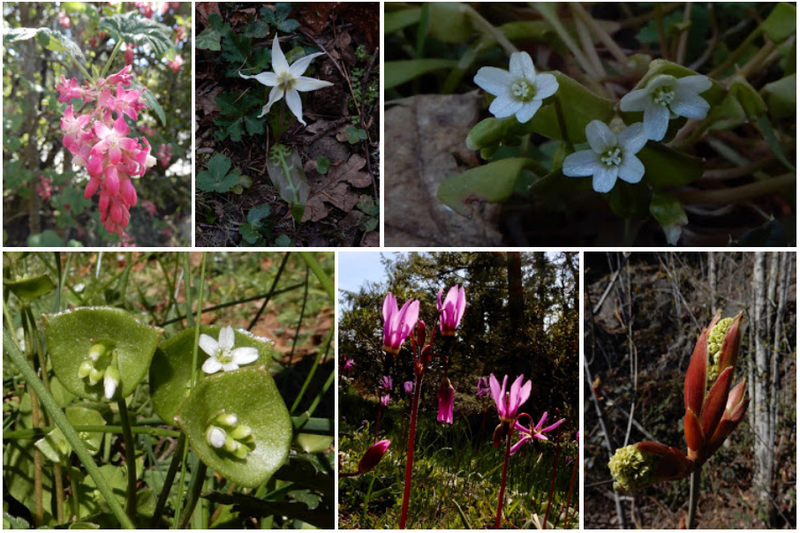 There were more patches of lilies in sunny spots along the trail that brought us back to the hwy. Two members decided to catch an early ferry back to Tsawwassen and the rest of us walked over to Canoe Cove for refreshments at Stonehouse Pub before catching the 4pm ferry back. Thank you to all who came along and to those who sent their beautiful photographs.